Define anti-viral response profiles of T cells, DC and macrophages in tissues sites and how these vary between distinct sites and circulation. Identify how T cell, DC, and macrophage differentiation and function are affected by the presence of persisting virus and as a function of age. Determine whether tissue-specific profiles can be tracked in peripheral blood responses in vivo, in cohorts with CMV viremia. The program is comprised of 3 projects, 3 HIPC cores (administrative, clinical and data management/analysis) and 2 scientific cores, including a Transcriptomics and Single Cell Core and a Viral Assays Core as described in the schematic figure and below. PI: Donna L. Farber, Ph.D.
T cell immunity is critical for anti-viral immune responses, and specifically for control of persistent CMV in tissues throughout the body. It is currently unclear how the function and features of virus-specific T cells sampled from human blood relate to their protective efficacy and to responses in tissues. Our tissue resource provides an unprecedented opportunity to study the T cell response to persistent viruses, as CMV serology results are known for each donor as well as HLA type. In preliminary analysis, we found significant frequencies of CMV-specific T cells in tissue sites outside of the peripheral blood, with some donors exhibiting enhanced frequencies in bone marrow, lung and/or lymphoid tissue. The proposed studies will address the three main themes of the program in defining how CMV-specific T cell immunity in tissues sites relates to that in circulation, how it is impacted by the presence of persisting virus, and whether tissue-specific signatures can be tracked in peripheral blood during ongoing infection. We will address these goals through coordinate analysis of CMV-specific T cells in tissues from previously healthy donors and in blood of individuals with CMV reactivation and viremia. Dendritic cells (DCs) are key immune sentinels that link innate immune recognition to adaptive immunity, and therefore shape T cell responses to pathogens and vaccines. The DC lineage includes two major subsets, type I interferon-producing plasmacytoid DCs (pDCs) and antigen-presenting classical DCs (cDCs). The overall goal of this project is to elucidate how DC lineage and its subsets respond to viruses in blood and distinct tissue sites with a focus on CMV responses and plasmacytoid DC which are the main DC subset responding to virally infected cells in vivo. We are analyzing human DC lineage on the whole-body scale using tissues obtained from organ donors by mass cytometry and whole transcriptome profiling. We are also studying how DC subsets respond to CMV-infected cells and the resultant effects of CMV infection on DC function in tissues. Collectively, these studies will provide insight into human DC lineage across the body and the role and function of DCs in latent and active herpesvirus infection. Dr. Boris Reizis at New York University Medical School is conducting these studies. PI: Miriam Merad, Ph.D.; Co-I: Brian Brown, Ph.D.
Macrophages play essential roles in innate immune responses to pathogens in all tissue sites of entry. Studies in mouse models have demonstrated that tissue macrophages comprise a lineage distinct from circulating, hematopoietically-derived monocyte populations. Drs. Miram Merad and Brian Brown at Mount Sinal School of Medicine are leading this novel investigation into human macrophages and are directly comparing within the same individual how tissue resident macrophages respond to viral pathogens compared to monocytic-derived populations. 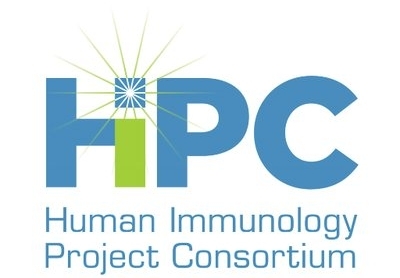 In the proposed project, they are profiling the functional responses of tissue macrophages to innate stimuli in general, and specifically to the ubiquitous herpesvirus CMV, and will also investigate how tissue macrophage function is influenced by persisting virus in CMV seropositive versus seronegative donor cohorts. They are employing cutting edge single cell techniques using scRNAseq, CiteSeq and CyTOF. This core coordinates program-specific administrative support including organizing regular meetings, monitoring and tracking program expenditures, processing reimbursements, and ensuring compliance at all levels. PI: Donna L. Farber; Co-I’s: Adam Griesemer, M.D. and Emmanuel Zorn, Ph.D. The clinical core will provide all organ donor tissue and cell samples for all projects, including samples from transplant recipients with CMV viremia from the CCTI Biobank. The DMAC will be based at the Department of Systems Biology at Columbia University and will serve the entire research program by providing infrastructure for securely storing and sharing the data generated by the program, by provide analytical expertise and computational resources to support the data analysis needs of the projects, and are coordinating dissemination of the program’s data through appropriate NIH repositories. Core A will serve all three projects in carrying out two crucial types of assays to the immune cell subsets isolated from blood and tissue samples: Whole transcriptome profiling on the population and single-cell level, and high dimensional analysis of protein expression in tissue cell subsets using cytometry by time-of-flight (CyTOF). Dr. Peter Sims from the Columbia Department of Systems Biology and Dr. Adeeb Rahman form Mount Sinai School of Medicine are leading this core. Service Core B will support all three projects and provide the necessary assays to interrogate the CMV replication status in tissues and cells. Dr. Felicia Goodrum at the University of Arizona, a virologist with unique expertise in CMV and mechanisms for latency, is leading this core.